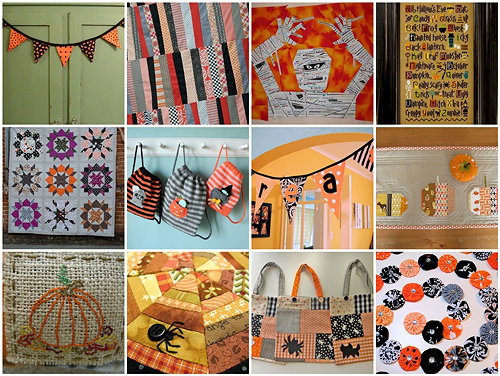 Has anyone started sewing for Halloween yet? A couple years ago I heard some crazy statistic that Halloween is only second to Christmas for the amount of money people spend to decorate. Sounds like a good reason to make things by hand. I have been looking around Flickr for some ideas. I think I will at least try to make some bunting. How about you?